Luton Town chief executive Gary Sweet has labelled the decision from Luton Borough Council to grant approval for the mixed-use development at Newlands Park as the 'biggest moment' in the club’s history. Last night saw the decision passed at Town Hall, following on from the club also getting the green light to build a new 17,500 all-seater stadium at Power Court in January. Sweet, who was quite brilliant when addressing the development control committee along with fellow 2020 associate Michael Moran, spoke to BBC Look East after the decision was reached, saying: "It is probably the biggest moment in the history of Luton Town Football Club. "My job is to keep my feet on the ground now and wait for the secretary of state to give his approval and ensure there is no challenge thereafter. Although the Hatters have had to wait two and a half years for the both applications to be approved, Sweet always retained belief they would achieve this outcome. He added: "I can believe it because I always had faith and confidence that we’d get to this point. “That’s not an arrogant statement, but it’s interesting that when we deal in a commercial world, we are football people, we don’t lose. 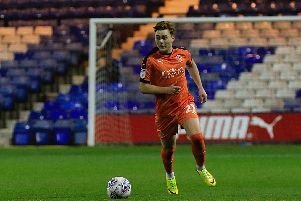 “We’ve got a sports mentality that we take to the commercial market and so, in this case, we studied the opposition in the way that Mick Harford will be with Bradford and Gillingham on Saturday. “We knew what the arguments were going to be, and we covered all of that with the retail conditions and all of the additional effort that we put into the design. “I think we won it two and a half years ago when we submitted the applications. "It’s been the same argument that we had back then. It’s been the same designs that we had back then. We’ve used the same people all the way through. “We haven’t changed any of those consultants. "It’s a team, just like Mick’s taking the team to Bradford, this is a team. "Our team is solid, it’s sound and we know what we’re talking about. It was thoroughly thought through.